Thea, all-mighty Mother Earth, only had one rule to follow above all else, one promise to keep to her brother: never take a human form. She would’ve kept that promise if it weren’t for Brice. He’s handsome and confident, but above all he’s merciless. He’s also a hunter who has tormented Thea for years. She believes if she could teach Brice compassion, she might finally be able to save her creations and herself from his savage ways. Then she meets Chamber: another hunter. She soon finds herself fascinated by−and torn between−the two boys: Brice and Chamber. Lost within a torrent of human emotions, Thea starts to lose who she is as she falls in love with the one thing that she’s always hated: a hunter… a human. I love to write just as much as I love to read. I try to read a book per week, which doesn’t always work out, but it’s the thought that counts. Aside from all that I am a huge animal person. Transformed is my first novel, but it isn’t my first publication; I’ve had several short stories published over the last two years. 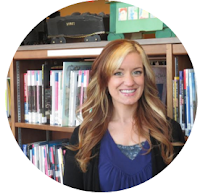 My main goal as a writer is to explore humanity and to give people something fun to read. With an alluring and captivating cover, Transformed by E.V. Fairfall was definitely a pleasant surprise. In the rhythm of a fairytale, the reader follows Thea, who also happens to be Mother Earth herself, into her journey of trying to escape the strongholds of the world. However, a few things stand in the way. You guessed it, a love triangle that could potentially bring Thea to her irrevocable demise. But this book is so much more than that. Unlike many YA books I've been reading, Transformed followed the premise of how the Earth came into existence through the eyes of Creationism. The beauty in Fairfall's approach is that she isn't shoving the author's views down your throat, and she isn't attacking another worldview. What I mean by this is that several books I've been reading lately have ruined the consistency of the story by throwing in the author's opinion on hot topics while bashing another view. It no longer feels like part of the story (rather, the author just using the opportunity to preach at the reader) and it makes me enjoy the book less because it almost makes me feel like I or people I know of certain worldviews are being attacked. It's incredibly refreshing to read a real YA book that stays consistent with the story and keeps it just that, storytelling. The story itself is intriguing and unique. Although cheesy at times, I very much enjoyed reading this book. 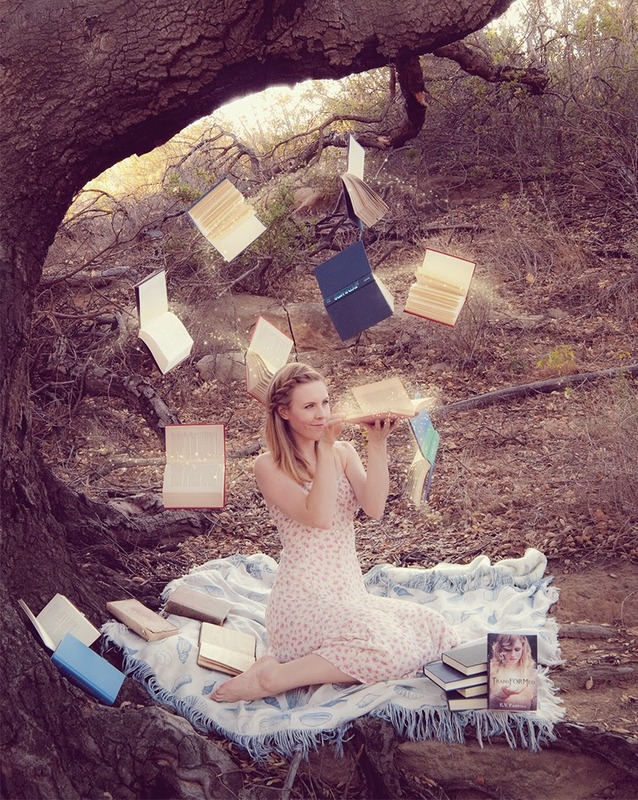 The reader becomes attached to the character of Thea and wants her to fulfill her purpose. As for Brice, I know a lot of people hated his part of the story, but I think an author's ability to write dynamic characters that pull emotions out of readers, good or bad, is a form of art in itself (think Dolores Umbridge in Harry Potter). I love to hate certain characters! I applaud Fairfall for her masterwork. 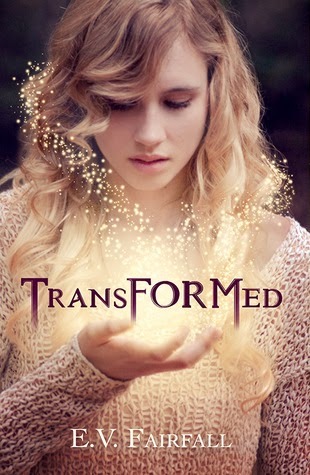 You will enjoy Transformed if you are looking for a fresh perspective in the Paranormal YA genre. It's a very light read, but it's definitely an enjoyable book if you don't mind reading about another love triangle. 4 stars. 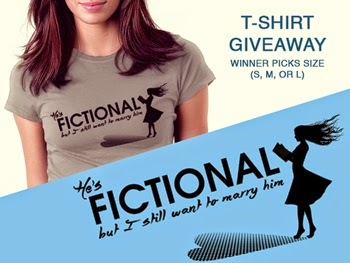 Also to celebrate we have an AWESOME T-Shirt giveaway! I'm not gonna lie, I totally want this! !